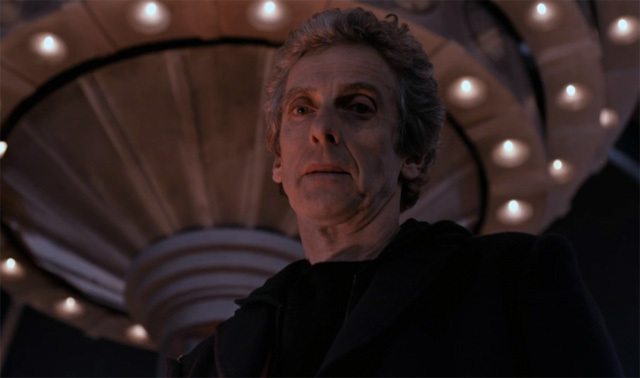 Doctor Who: Ten Best Moments From BEFORE THE FLOOD | Warped Factor - Words in the Key of Geek. Nick Brent counts down the ten best moments from Before The Flood. We travel back in time to before the flood this week in the concluding part of Toby Whithouse’s series nine story and once again I am back to pick out my top 10 favourite moments. Man, Series 9 is shaping up to be the best yet! Never have we had 4 episodes in a row that are this good! Naturally, there are spoilers ahead. Whenever the Doctor regenerates do you think he spends a day or two recording security protocols? I loved this scene and it was a nice callback to Blink’s use of the protocol. It seems that Whithouse definitely does his homework when he writes his episodes as he makes various references to the show’s past in this story by name dropping Rose, Martha and Amy as well as Harold Saxon. “Our capital city has a sign saying, "If you occupied us, you'd be home by now." I was actually hoping to see more of Paul Kaye as Prentis in this story but we only got a few minutes. These few minutes were great and they added a nice bit of comic relief to what was actually quite a dark and suspenseful story. It was nice to see the return of the Tivolians and I’d actually quite like to see the Doctor visit Tivoli one day… but only if David Walliams and Paul Kaye are there too! Whithouse, sometimes I love you but then sometimes I hate you. HOW COULD YOU KILL OFF O’DONNELL? She was perfect companion material! In fact, so was Bennett which is why I liked this pairing so much. I don’t think we’ve had an episode for a long time where its guest cast were so well characterised and where I was left somewhat saddened by a death. Sigh. Bennett was great in this episode, it was nice to see him a bit more fleshed out than the ‘generic scared guy’ he was last week and I enjoyed his confrontation with the Doctor, which brings me nicely onto point 7. …to test a theory. As much as I prefer the Doctor’s warmer side this series, it was nice to see his colder nature come through once more, in that he did little to prevent O’Donnell to leave the TARDIS so he could be sure that the list of names was the order in which people were going to die. To be honest, I shouldn’t like this because I was annoyed that they killed her off but it was awesome to see the Doctor’s alien side again. I’ve liked these two since last week and like O’Donnell and Bennett, I think that they are definitely companion material. Anything is possible, Capaldi did say the next companion could be a double act, and having a deaf companion who remains a strong, capable character would certainly be interesting. I digress. They were both very good in this story and like the other two surviving (well, technically one now) crew members, they were well written and felt like fully developed characters. The scene where Cass is unable to hear and the approaching axe being dragged along the ground is wonderfully suspenseful, and her realisation and escape using vibrations was particularly brilliant. Although it reminded me of Daredevil, but I suppose it is actually possible in real life so I can’t complain. There seems to be a recurring theme of Clara needing the Doctor this year. Of course, it is clear that she is still hurting over the loss of Danny Pink and this is the reason she continues to travel with the Doctor and is constantly in the need for adventures. As with last week it seems to be becoming a bit of a need and I still have a feeling that her reckless abandonment is going to be the key factor in her exit from the series. I knew this was coming but I loved it all the same. I don’t think it has been made quite clear as to who was playing the theme. Some say it was Peter Capaldi, others are saying Murray Gold… either way it was brilliant and it is a shame they aren’t keeping it for the remainder of the series; it is perfectly suited to this rock ’n’ roll Doctor! What a beautiful piece of costume! I can’t help feel the character was somewhat wasted but what we did see and hear of the Fisher King was fantastic. Its suspenseful creeping (I’m not entirely sure how going by the size of it) about in the shadows combined with Peter Serafinowicz’s menacing voice and Corey Taylor’s ferocious screams made for excellent tense and mysterious scenes. Does anyone else think the Fisher King sounds like the 456 from Torchwood Children of Earth? Once again, Capaldi makes it onto the list with his incarnation of the Doctor. Whithouse continues to write the Doctor perfectly and again gets the balance between his lighter and darker sides spot on! Peter’s performance is superb as ever and I feel he is really channelling Tom Baker’s Fourth Doctor a lot (which is a good thing) as well as bringing his own twists and nuances to the performance. He certainly appears to be much more content with the role this year, and this really shows. So basically, the Doctor proposes a hypothetical scenario where a time traveller goes back in time to meet Beethoven, only to find he doesn’t exist. So he copies down all of Beethoven’s music and thus becomes Beethoven… but who wrote the music in the first place? Where did the idea come from? That is a Bootstrap Paradox. 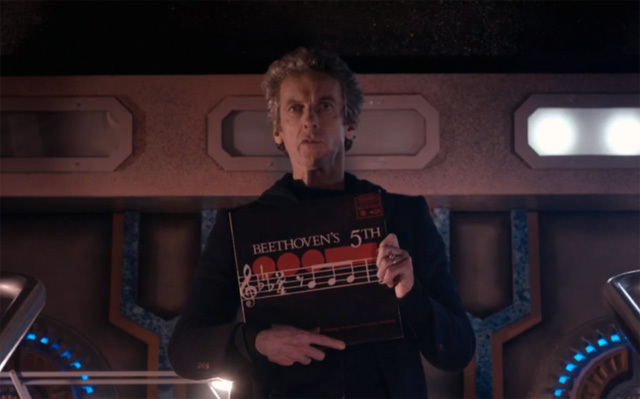 This was a genius scene from Whithouse where by he sets us up with this hypothesis and the question of “Who really composed Beethoven’s Fifth?” and then uses the same principle to provide the resolution for the story (where the Doctor only programmed his ghost to say things because he heard them say it previously - where did the words come from?). 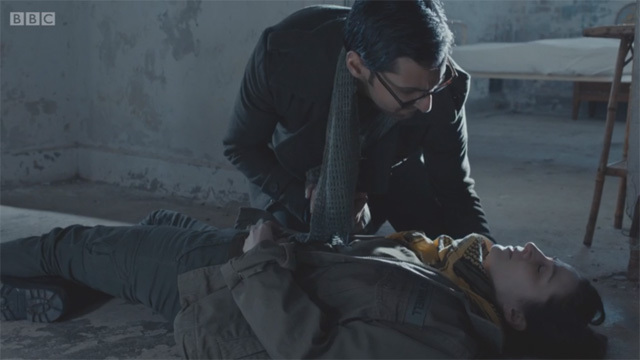 Of course, the paradox didn’t really need explaining to the audience as the pre-titles because Doctor Who fans are well accustomed to the idea and it is explained by the Doctor to Clara at the end, but I’m glad Whithouse did this as we got a very unique scene for the show, where the Doctor breaks the 4th wall to give us this information. It also allowed for an awesome final line from the Doctor, which I have already quoted too many times, and a great final shot of the Doctor breaking the metaphorical wall between the Doctor Who universe and ours. If people don’t like the breaking of the 4th wall then I think the best way to look at this scene is as if it’s in his head. Next week, it appears that the Doctor Who universe crosses streams with the Game of Thrones one as Maisie Williams teams up with the Doctor and Clara against The Mire. 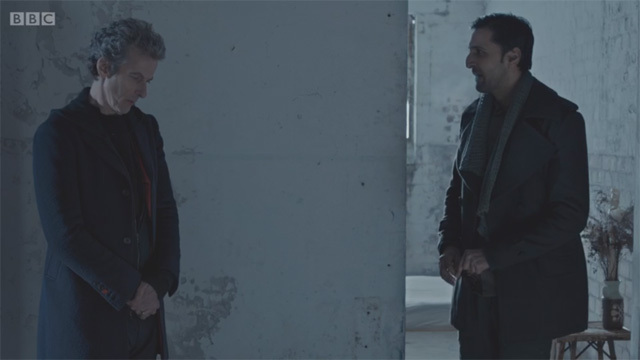 But before that, what were your favourite moments from ‘Before the Flood’?